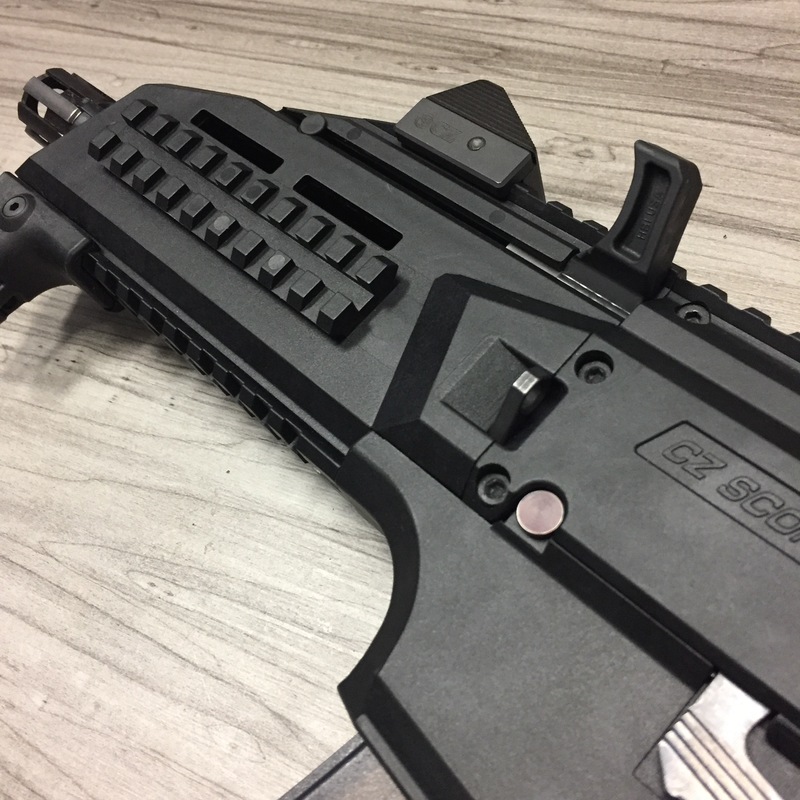 The ProStock Extended Charging Handle for the CZ Scorpion EVO 3 gets your fingers away from the molded picatinny rails (knuckle biters) on the barrel shroud of the Scorpion, and provides a larger and more robust control handle for charging the weapon. The ProStock Charging Handle is ambidextrous and can be used on either the right or left side of the Scorpion. 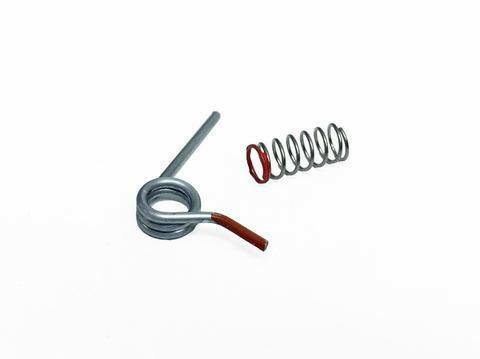 The finger catch/handle is molded from high performance polymer and the charging rod is machined from precision ground 17-4 stainless steel and black nitride finished. 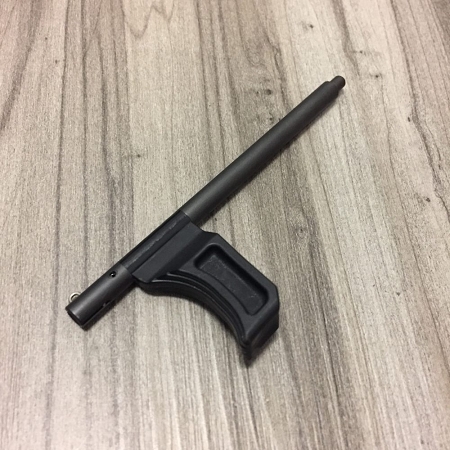 The ProStock Charging Handle blends right in with all of the factory lines and shapes, completely inconspicuous, until you reach for it and realize that it is almost twice the surface area of the factory charge handle that you replaced. This charging handle preforms beautifully with both factory polymer and aftermarket aluminum handguards.